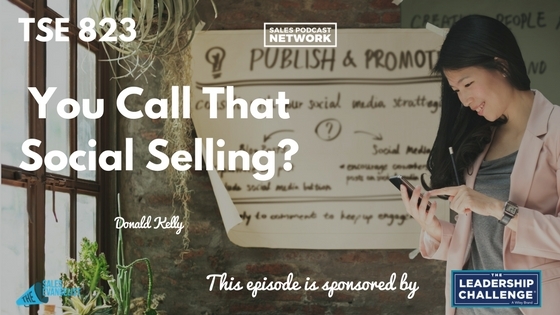 TSE 823: You Call That Social Selling? 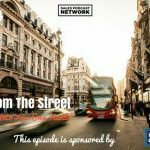 Home » TSE Podcast Post Page » TSE 823: You Call That Social Selling? When I first discovered the idea of selling on social media, I wasn’t approaching it the right way. I assumed that social selling was as simple as posting something that would lead to a sale. I realized, though, that social selling involves building relationships and guiding the prospects through a conversation that might lead to an appointment. Today, on The Sales Evangelist, we’ll discuss what makes today’s buyer different, and why outdated sales strategies won’t work. Simply asking people to buy your product won’t prompt a transaction. You must think differently about social selling. The truth is that most sales professionals won’t stay in one job for 20 years. Most will switch jobs within about 3 years, although they’ll likely stay in the same industry. By establishing a brand identity, you’ll allow your customers to follow you no matter where you move within your industry. Make your social media pages reflect your industry and your knowledge about the it. Improve your ability to reach people with the following steps. 1. Choose the right network. Do that by using the platform your customers use. Ask people in your industry what platform they spend time on. Watch your prospects’ social media activity and use it to build relationships. 2. Be consistent. Post regularly. When customers repeatedly see you online, and they don’t see your competition, they’ll begin to engage with you more. 3. Establish expertise. Find information that’s relevant to your customers and find a way to tailor it to their situation. If you’re reading about Facebook privacy issues, figure out how that relates to your prospects. Use mechanisms like videos or animations or blogs to establish yourself as a resource. Fiverr is a great place to hire help creating any of these resources. 4. Engage with your audience. If a prospect got a promotion, or had a birthday, or changed jobs, use that as an opportunity to engage. Send a personal message. Better yet, connect two people in your network. If one of your connections needs new office furniture and you know someone who handles office furniture, tag them both in a post with an introduction. 5. Be the expert. Share content. Post on LinkedIn. Write blog posts. Create a podcast using Anchor. Start by finding your customers’ top 10 frequently asked questions and answer them in one of the methods above. Pick one of these and start working to build value today. We want you to be successful; to find more ideal customers. We want you to build stronger value and close more deals. We want you to do big things. You can hire specialists to help you with video or animation projects or other gig-type work at fiverr. You can also become a leader to your buyers by presenting value and building relationships. The book Stop Selling & Start Leading, offered by our friends at Wiley, provides a blueprint for your customers and what they are seeking. Read an excerpt of the book here. Use Anchor to start your own podcast as a way to establish yourself as an industry expert. 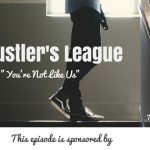 Then, check out the Video Jungle podcast, your source for marketing and selling your brand using video. Plan, create, and share your way to better content and strategy. Leave us a review wherever you consume this content, and share it with someone else who might benefit from our message.